If you missed it Tuesday morning, take some time and read the Miami New Times superb investigation into Biogenesis, a nondescript anti-aging clinic that also served as a hub for pro athletes seeking performance-enhancing drugs in south Florida. The revelation isn’t quite the game-changer BALCO was a decade ago, because, well, BALCO was a decade ago, and because unlike Victor Conte et al, Anthony Bosch wasn’t inventing new and undetectable anabolic compounds. Instead, Biogenesis doled out cocktails of well-known and proven effective muscle builders to baseball players, tennis players and boxers looking for an edge. Some of the athletes implicated surprise us because they seemed like straight shooters who would never involve themselves in the murky and risky business of PED use (think Gio Gonzalez). Others shock us because they’ve been caught before. 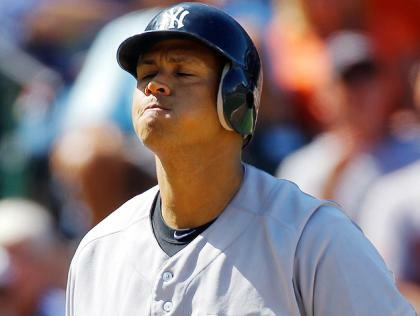 If a steroid confession in 2009 didn’t scare Alex Rodriguez off the juice for good, you’d think he would at least have been frightened into procuring his drugs more discreetly. And other names offer answers to fairy-tail comeback stories that collapsed under the weight of positive doping tests. There’s new Blue Jay Melky Cabrera, the 2012 All Star Game MVP hit with a 50 game suspension for using synthetic testosterone, and pitcher Bartolo Colon, whose miracle return to the top of his game was at first attributed to stem cell surgery. As this story develops look for more fallout, and for the scandal to ensnare a few more big-name athletes, and possibly a Tuiasosopo. But in sifting through the information available right now three things become clear to me. If you think the dissolution of the Biogenesis doping program will affect the scope of doping in high level sports, you probably also think Manti Te’o spent hundreds of hours on the phone talking to a man disguising his voice and diction as a woman’s. No way on both counts. The end of Biogenesis won’t diminish the number of elite athletes on steroids — we don’t even know if the people outed by the New Times have gone clean or simply moved on to other sources. And neither suspensions nor negative press for the athletes involved will act as a deterrent for other athletes and suppliers. I state the obvious only because the same morning the New Times report hit the internet, Sports Illustrated published an investigation of S.W.A.T.S. (Sports With Alternatives to Steroids), a tiny Alabama-based company that made millions peddling strange products — microchip-embedded stickers, deer antler velvet — claiming to enhance performance legally. Coaches like Hue Jackson bought in. As did athletes like Ray Lewis, Richard Seymour and Vijay Singh. And they all got taken. Laboratory tests showed none of S.W.A.T.S.’s products did what they claimed to do. The two men running the company have been peddling nothing but placebos. But they’ve found a market because — surprise! — if elite athletes can’t take steroids they’ll eagerly shell out for a substance that works just like steroids. 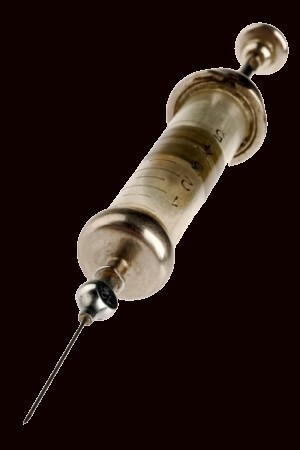 Demand for the positive effects of steroids never tails off. Not among the general public, who are constantly encouraged to “talk to their doctors” about drugs like Androgel. And certainly not among pro athletes, who have stronger incentive than any weekend warrior to gain a physical edge on the guys with whom they share a field, a court or a baseball diamond. And where there’s demand there will always be a Jamie Astaphan or a Victor Conte (since reformed) or an Anthony Bosch to provide the supply. This isn’t to say steroids can’t give your career a significant boost — because they can. If you don’t believe me ask Cabrera who obliterated previous career bests in his steroid-tainted 2012 season. Over 113 games he batted .346 (51 points better than his previous record) and posted a .906 OPS, though he had previously broken .800 just once in eight big league seasons. But we need to dispense with the idea that the right steroid regimen make the scrub at the end of the bench on your high school team into a standout major leaguer. Only talent and health can do that. And if you don’t believe me ask Cesar Carillo. He’s a former college star and minor league journeyman engaged in an extensive doping program facilitated by Bosch and Biogenesis. The sum total of Carillo’s major league achievement: one win and two losses with the Padres in 2009. Beyond that he’s shuttled from one minor league to another, cobbling together 30 wins against 51 losses across eight seasons. You can ask what Carillo would have achieved in pro baseball without juicing (probable answer: even less), but that’s the point. Steroids doubtless helped him wring more from his talent and health than he otherwise would have, but he still reached a level of success limited by talent and health. Steroids may be infinitely more potent than deer antler or whey protein but they certainly can’t endow you with the talent to become world-class. Only a wise choice of parents does that. Otherwise people might have started asking questions about his steroid use sooner. Not because of his performances — on the Pacquiao-Marquez undercard showed off a stunningly muscular physique at 135 pounds but couldn’t dent a tomato can named Michael Farena. But Farenas managed to drop Gamboa, marking yet another trip to the canvas for El Ciclon de Guantanamo, and making me wonder if he should start injecting steroids into his chin. Physique aside, the bigger red flag with Gamboa is this video, in which trainer “Ray Gunz” puts him through a strength and conditioning session in a public park. Quotations on the trainer’s name are necessary because a preliminary internet search doesn’t reveal the name his parents gave him. He’s also a virtual google ghost aside from that video and scattered to references to an MMA gym, owned by a Kimbo Slice knockoff named Dada 5000, where “Gunz” trains fighters. When seeking circumstantial evidence of steroid use, direct extra scrutiny at the athlete whose strength trainer has an assumed name and next to no digital footprint. Gamboa also lucks out in that if he were a pro in any other sport, the people governing it might actually care that meticulous records exist of his doping program, and that his steroid use coincides with his rise from intriguing prospect to world champion. 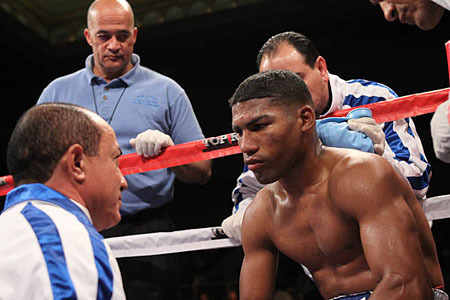 You’d think Gamboa would be hauled before the authorities and made to account for his dealings with a known steroid dealer, maybe stripped of titles or made to forfeit victories. But this is boxing, where only fighters who test positive during voluntary screening seem to trigger any consequences. Like Andre Berto, whose positive (voluntary) test cost him a rematch with Victor Ortiz, and Lamont Peterson, who lost his 140-pound titles after flunking a (voluntary) drug test ahead od a return bout with Amir Khan. Anybody else who might be doping survives untouched, provided they have a rudimentary knowledge of clearance times. Which, Gamboa and Bosch clearly do, according to the New Times investigation. And until more sanctioning bodies enact out-of-competition testing in the weeks leading up to title fights Gamboa’s free to find a new supplier and continue his routine. If he knows when his next fight is, then he knows the one day he needs to pee clean. Gamboa’s people have told El Nuevo Herald’s Jorge Ebro that the boxer has visited the clinic but never obtained banned substances there, an explanation that makes about as much sense as Ronaiah Tuiasosopo’s assertion the he was the person on the other end of Manti Te’o’s phone. Which is to say it makes way more sense than pro boxing’s stance on performance-enhancing drugs.